Every client we work with is unique, so the way these activities are carried out can vary significantly. However, all of our services stem from an approach that begins with credible and robust frameworks and effective engagement of your stakeholders. We develop a complete understanding of our clients, where they want to be and where they want to go. We get in touch with key stakeholders to understand their perspectives and expectations, as well as a baseline of current organizational performance. We work with our clients to craft a meaningful sustainability vision, a baseline and a strategy to achieve it. We create a tactical plan to implement the strategy and achieve business goals. We provide management support to our clients to realize their strategy as they develop their own internal competence. We work with our clients to identify knowledge, skills and attitudes to achieve the strategy and engage them to develop these. We facilitate the development of relationships with other organizations that are critical to realizing the sustainability strategy. We connect with your key stakeholders to understand what issues matter to them and work with them to find solutions. We work with our clients and their stakeholders to identify the material issues that are key to them. Based on material issues, we identify important data to be collected and reported on. We develop templates and facilitate the process of populating these. 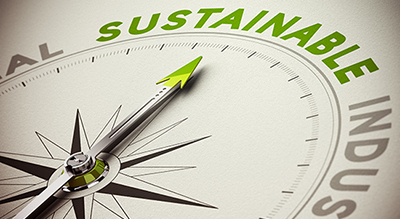 Contact us to see how we can add value to your organization's sustainability work. Let us help you plan your journey towards sustainability!